Brewer's Notes: Brewed with a balance of best British Ale Malt and Lager Malt, this beer exhibits a pale straw colour. The aroma combines a zesty attack and an apricot fruitiness with the subtle floral hop notes of the Styrian Golding, Saaz and Hallertauer Hersbrucker hops. Moderate levels of residual sweetness are balanced by a crisp, well-rounded bitterness to give a clean, refreshing mouthfeel in the best traditions of pilsners – pint after pint! Actually, the lemony and resinous character of this Scottish "Pilsener" seems closer to the familiar British "India Pale Ale" style. It's very refreshing! Shoot. Tried a few "drinking"-related terms in the search engine, but not "cheers". I liked the sound of your drink though. I'll have to find one in the "International" section of my local. This dark variety of Budvar is typical of the so-called "Schwarzbier" type, known in the English-speaking countries as dark lager. It's lighter and less characterful than stouts or porters, but features a nice balance between hops and malt - clean and crisp, yet with an easily identifiable chocolate note. Brewer's Notes: A dark beer with a well balanced sweetness, malt and chocolate tones. Challenger, Fuggles and Cascade hops produce a rich and spicy aroma with a balanced bitterness and full-bodied flavour. Beers from Inveralmond are firm favorites at many British beer festivals. This is a full-bodied, chestnut-coloured brew that is dominated by malty notes while retaining a surprising hoppy freshness. This is almost as good as the Chesticles thread! Brewer's Note: "A superb strong Bitter with a complex palate consisting of a delightful hop character balanced by prominent maltiness." Well, they say that about every beer, don't they? Why this beer is marketed as a pale ale I don't understand. It's more of a premium bitter, and a very good one, very typical of the ESB style [similar to the German Altbier, but maltier]. Caramel and grassy notes present, long bitter finish. The line in England between best bitters, premium bitters and extra strong bitters is mostly defined by alcoholic volume, but even then it's a blurry line indeed. Another vote for Bridgeport India Pale Ale. It is my favorite beer. The Hop Czar looks great, but I haven't seen it at my local liquor store. I will have to see if I can track it down. 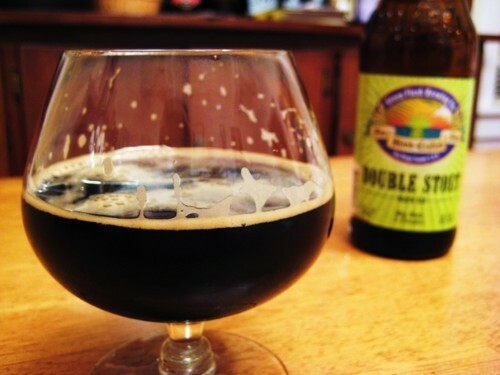 Love the green flash double stout! Well, it can be non-alcoholic drinks. Plus, that thread is really also about your weekend plans and what you're doing as much as what you're drinking. I can still go to parties, even though I can't drink. Ok, I have altered the subject accordingly. Brewer's Note: A product of England this is an ale brewed with raspberry juice and natural flavors added. The finest organically grown barley and wheat are used to create a complex ale which having undergone primary and secondary fermentation with different yeasts and extended maturation. This beer is blended with pure organic raspberry fruit juice and a previously cellared brew creating an unparalleled fruit ale. The smooth distinctive character of the matured ale serves as the perfect counterpoint to the pure organic fruit juice. Unlike with most Belgian fruit beers, where actual fruit are fermented with the beer, Samuel Smith, one of the greatest independent breweries in Britain, blends matured ale and fruit juice. Still, the outcome is much the same: a very well balanced brew in which the tart fruit note is not at all overwhelming, and not overly sweet. Instead, the bitter notes and the the sour-sweet raspberry make for an enchanting blend.